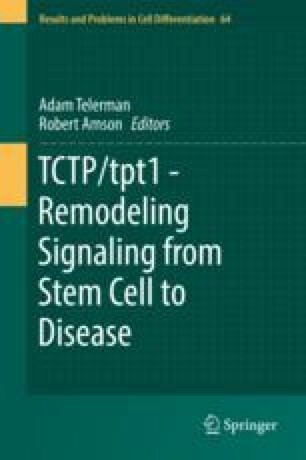 The Translationally Controlled Tumor Protein (TCTP) is a conserved protein which expression was associated with several biochemical and cellular functions. Loss-of-function mutants are lethal both in animals and in plants, making the identification of its exact role difficult. Recent data using the model plant Arabidopsis thaliana provided the first viable adult knockout for TCTP and helped addressing the biological role of TCTP during organ development and the functional conservation between plants and animals. This chapter summarizes our up to date knowledge about the role of TCTP in plants and discuss about conserved functions and mechanisms between plants and animals. This work was funded by the “Biologie et Amélioration des Plantes” Department of the French “Institut National de la Recherche Agronomique”, by The “Ecole Normale Supérieure de Lyon”, by the Claude Bernard University at Lyon (UCBL), and by the CIFRE program of the ANRT.